Arguably the biggest storyline this weekend will be the battle for MX2 supremacy, as Cooper Webb (three-time AMA SX and MX champion) squares off against Jeffrey Herlings (two-time MX2 champion). 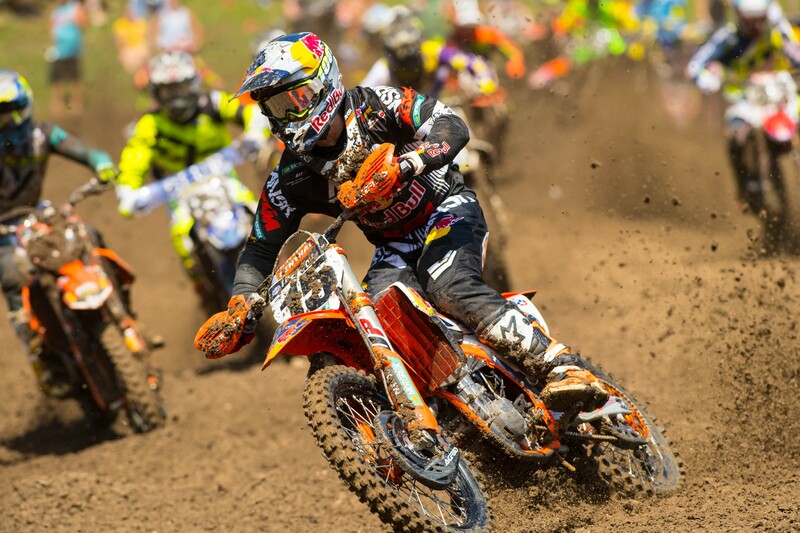 Herlings is coming back from injury, but did win the overall at his home GP in Assen last weekend. Meanwhile, Webb capped a brilliant 2016 season by clinching his first 250MX championship. Both have been respectful in the media leading up to the event, but both have fiery personalities that can combust in the heat of competition. Will the respect continue on the track? Joey Savatgy won’t race, but Monster Energy/Pro Circuit Kawasaki will still be well represented with Adam Cianciarulo and Austin Forkner scheduled to compete in MX2. Forkner is coming off a dominating first moto—and first career overall—at Ironman last weekend and could throw a wrench in the Webb vs. Herlings storyline. 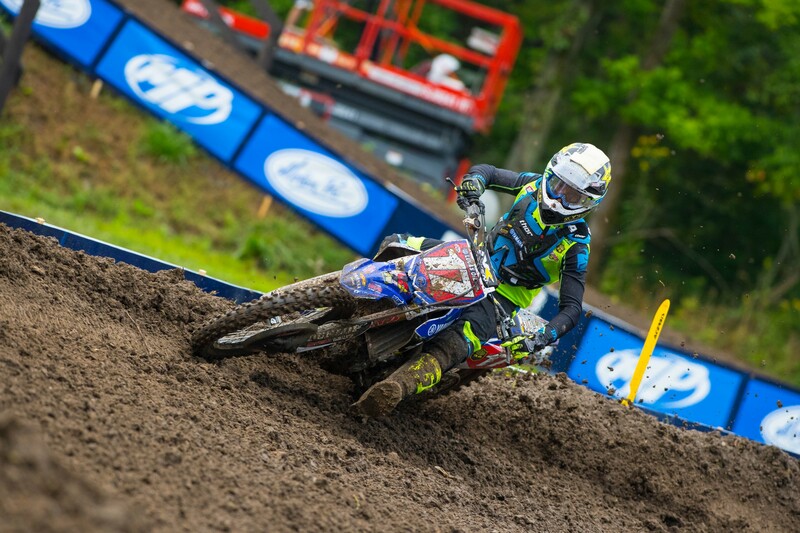 AC, coming off his first complete season in his career, has been solid down the stretch with three top five finishes in the last four motos of Lucas Oil Pro Motocross. Can either pull off the win this weekend? Despite missing three rounds of the championship due to a broken collarbone, Herlings enters the weekend 76-points clear of Jeremy Seewer. With only 50 points available after this round, it's possible Herlings will clinch a third MX2 championship Saturday. It’s been a long, strange journey in MX2 for Herlings. Can he close his MX2 career with another title this weekend? At just 19 years old (he turns 20 on September 8), Tim Gajser has a chance to clinch the MXGP title on Saturday in only his first year in the class. The Slovenian enters the weekend 65-points ahead of eight-time World Champion Tony Cairoli. Only 50 points will be up for grabs after this weekend, so we could see a first for Gajser on Saturday. Heavy rains hit the track last night, and then the remnants of Hurricane Hermine, which was downgraded to a tropical storm this morning, hit the track today at about 11 a.m. It’s expected to rain all day today. Qualifying races were cancelled, but we talked to a few GP folks familiar with the two-day format (such as Suzuki team manager Stephen Everts) and they all say condensing the schedule won’t really be a problem. After all, the one-day format has already been proven to work over here. The bigger difference could be in the track’s condition. Tomorrow is expected to be clear, the track has been hardened so the rain will run off a bit, and most of the jump faces are under tarps. Still, this is a lot of water. We’ll see how it impacts Saturday’s racing. Did someone say mud? One rider that may be keen on the current conditions is Justin Barcia. BamBam excels under muddy conditions—evident by his Budds Creek win last year. With JGR headquartered in Charlotte, this is big race for Barcia and teammate Phil Nicoletti. (although Phil is probably not pumped on the rain. Or sunshine or anything in between.) How will the JGR boys do at home? It’s been a long season for Eli Tomac. The Monster Energy Kawasaki rider is one of only two riders to race all 17 rounds of supercross and 12 rounds of motocross. (The other rider is Ken Roczen, who isn’t competing.) “There’s really not much time off. It’s not like we’re car racing or… I don’t even know what you’d compare it to,” he said at the post-race press conference at Ironman. “We’re riding three times during the week and then we race on the weekends and then flying home between all that. There are only so many weekends off. So it’s a pretty long schedule. Yes, we’re fit to do it, but everyone’s giving it some time.” After finishing runner-up to Roczen in Pro Motocross, Tomac would certainly like to snag a win this weekend or next (USGP at Glen Helen) to cap his season. Dean-O is one of many top riders still searching for a ride for 2017. Wilson missed most of this season due to ACL injury (the second straight year a knee injury sidelined him) and could certainly use more races to prove his worth for next year and beyond. This weekend will be a good start, as he takes on Tomac, Barcia, Nicoletti, Gajser, AC, Desalle, Febvre and more. Americans Thomas Covington (Alabama) and Darian Sanayei (Washington) are the only U.S.-based riders currently competing in the FIM World Motocross Championships full-time. In his third year on the circuit, Covington is currently eleventh in MX2 standings, but did grab a moto win at Assen last weekend. That moto was pretty muddy, and the Alabama-raised Covington seems to do well when it’s wet. Sanayei, meanwhile, will make his MX2 debut this weekend after a runner-up finish in the EMX250 Championship this year. How will the boys do in their return to the States? He was originally scheduled to race, but we’ve heard that Chad Reed will not be racing this weekend. Justin Brayton and RJ Hampshire appear on the entry list but are also not competing, and we heard rumors Jeremy Martin might debut his GEICO Honda ride here, but that will now happen next weekend. But the factory-backed efforts of Tomac, Barcia and the like, won’t be the only U.S-based riders competing this weekend. According to the pre-entry list, Heath Harrison, Colton Aeck, John Pauk and Mark Weishaar, among others, will compete in MXGP. MX2 will feature Vann Martin, Marshal Weltin and more. How will the privateers fare this weekend?